"A poster figure of John Wayne, the mega-hero of Hollywood westerns, offers a greeting here at the gun museum’s gallery door as he holds his Winchester carbine at the ready and offers an amiably crooked grin," Clines said. "The bad guys in the movies never fully understood that the menace behind Wayne's grin (‘Whoa, take ‘er easy there, Pilgrim') meant he was about to deliver blazing fantasies of triumphant gunfire that would leave them dead in the dust. 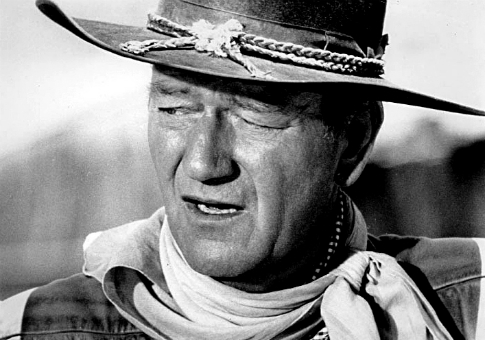 It's no wonder modern Florida legislators could not resist protecting actual shooters who draw and fire like John Wayne as guilt-free, ‘stand-your-ground' defenders." Clines said "the cardboard fantasy of the good guy gunning down the bad guy is what makes the museum work as an enjoyable escape from the life-and-death reality of American gun carnage." After complaining that the gun museum displays guns and blanks used in movies, Clines asked why there isn't a "stream of gripping films about the thousands of troubled Americans with easy access to guns who can lethally act out their darkest grievances on family and society day after day?" He said the NRA's support for national gun-carry reciprocity is "rooted in its ultimate fantasy that society will be safer if ordinary Americans are allowed to routinely pack a pistol," and is part of a "campaign to make gun possession ubiquitous among ordinary citizens." Currently, concealed carry is legal in every state in the country. There are an estimated 14.5 million gun-carry permit holders and 310 million guns in the United States. The NRA and New York Times have been increasingly at odds, with the publication editorializing against the gun-rights organization and the gun group firing back with ads attacking the paper's credibility.